We know that stooling patterns can affect eating while also giving us important information about the GI tract. While “normal” may vary between individuals, in our clinic we establish daily stooling to encourage hunger, improve motility, and reduce reflux. Many of the children we treat for feeding problems have difficulty with regular stooling patterns. Read more here about GI issues that affect feeding. 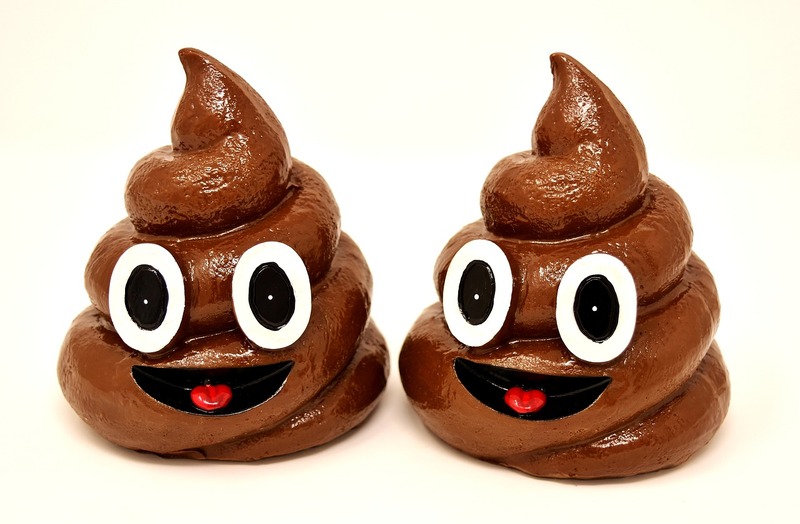 What do healthy bowel movements look like? Dr. Elyanne Ratcliffe is a pediatric gastroenterologist at Hamilton Health Sciences. In this short video clip, she educates on this topic with visual examples. Great post, as always! What do you all find most effective for motility issues in your clinic? Especially for those kiddos that just can’t tolerate volume wo vomit? It seems some docs are hesitant to do the motility studies and I’m thinking it’s because they don’t always reveal everything- maybe? Your thoughts? This a big question-one that might warrant its own post. I will answer this as a feeding therapist (not a physician) that works on a medically based feeding team. In our clinic, we treat symptoms initially. We use a combination of medical and nutritional management strategies for motility issues. We usually don’t order testing initially, unless we do not get a response from intervention or unless there is something unusual in the clinical picture that warrants this. We always have the option of further testing if needed and these children are followed closely by our medical providers. Our goals always include stopping vomiting, retching, and gagging so the child can progress with oral eating skills (if possible). It is not an exact science and usually takes a trial and error type of approach. We see our children frequently in the beginning , every 4-6 weeks or so, to get it right. thanks for the question! I agree with you. I think most of us that specialize in feeding try to avoid testing initially, unless there are “alarm features”. For example, if a child is choking or coughing during feedings, a modified barium swallow study would be critical to rule out aspiration. Should a parent report that a child is having “bright green vomit” that would be concerning for obstruction in the gi tract and an UGI should be done to assess the anatomy. But these tests can be difficult to do in children, especially those that are orally averse. Motility testing is, in my opinion, is a little trickier yet. A gastric emptying scan is what is done to diagnosis gastroparesis (delayed gastric emptying). In order to complete the test, the child must eat or drink a specific amount of food (typically eggs and toast) that has a trace of radioactive material added . A scanner is then placed over the stomach and monitors the rate at which the food empties into the small intestine. In my experience, getting a child with feeding issues to consume the correct amount of food is challenging, as is keeping the child in radiology for 1 to 4 hours. So, I have definitely ordered this test, but typically not right away. I want to stress how important history is at the initial consult. When a parent or guardian reports that a child vomits, I ask about amount, color, time, etc… I also ask if this child has ever vomited food that he or she has eaten 2-3 hours before. The stomach should empty in 60-90 minutes, so anything over this time might indicate delayed gastric emptying. It doesn’t hurt to try a formula change or medical management to see if this helps with gut comfort. I agree with you, Krisi, some of this is trial and error. One more thought about motility testing. Gastric emptying scan can be done at most hospitals. However, manometry testing of the stomach and colon is done typically at a pediatric motility center. These are few and far between. Great thoughts. I agree w you both. And I absolutely agree treating these complicated GI/feeding kiddos is a lot of trial and error. I usually say we put a theory forward and then see if it works or not… continuing the differential of what is medical/behavioral etc. often these children have symptoms of what Dr Chatoor describes as PTFD. The only way to begin to address these issues is to achieve vomit free and pain free feedings or you’re absolutely right that oral does not progress. However the parents are often torn between the “prescribed volume”, which results in vomit or discomfort and variable weight gain but input is “they need to eat more” OR “child directed volume”, which results in vomit free feeds, more pleasure w feeds, babies that start to wake for feedings and have more interactions w mom and Dad vs feeding all day but still don’t always result in good weight gain/ volume. 1. vomit (even if occasional), which causes further pain association and trauma. And this all leads to “sleep” feeds, bc the infant has no other way to endure the cycle. Often these children have a formula change as you pointed out and reflux meds but this still doesn’t always result in target intake or vomit free feeds IF prescribed volumes are followed. They don’t have signs of pharyngeal dysphagia or oral motor issues. It’s pain association and trauma. SO When vomit free feeds that follow stop and refusal Cues from the infant are achieved by greater space between feeds to allow for hunger and self-regulation of hunger (usually find they need a 3-4 hour window) it results in general in better volume and weight gain. Usually .2-.3 oz/day weight gain vs the average 0.5-1.0. Usually I see by 8-12 months they naturally start to improve and gain more as they can tolerate more solid food intake wo drastic drop of formula intake. Despite slower weight gain they seem to do fine/perfect in other developmental areas (which to me suggests enough for brain development). So I guess what is the answer for these more complex kiddos? Let them grow slow and work through their GI issues w time? Usually families have a lot of pressure each medical visit when this is the case. And often even if a feeding tube is added to these pictures to “impose” the volume for weight, the kids often vomit out the excess and oral feeding declines. I try my best to point these observations out but don’t have the benefit of a feeding team to discuss and share perspectives quickly and collaboratively. And bc the families I work w are achieving vomit free feeds bc we are following the child… motility or other factors to problem solve aren’t flagged bc “they are not w daily vomit” any more. But there’s still pressure to “get them to eat more”… when they can’t (wo vomit, feeding past cues which results in feeding aversion). And parents are in the middle of opinions, perspectives and pressure. A team approach is very effective. For those docs that I have succeeded in collaboration it’s night an day w the cases. When we work as a team w the parent observations it’s amazing. But weight gain is still sometimes just slow. Wondering if there’s more to be done w these slow weight gainers other than imposing prescribed volumes w adverse long term effects? I find for most of these it’s time and patience and allowing the child to guide.